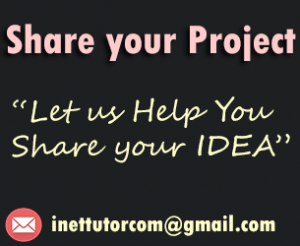 Student Information System is a computer based application that will help the end-users in organizing the records of students in an electronic manner. The system has also a search feature that allows the users to search the information easier and faster. The article will provide you with some ideas on what are the possible tools used to design a student information system. Sample conclusions and recommendations are also provided in this article. The following were the software used for the development and for the implementation of the system. Microsoft Visual Basic – Was the chosen programming language for software development primarily because it is an ideal programming language for developing sophisticated professional applications for Microsoft Windows. It makes use of Graphical User Interface for creating robust and powerful applications. The Graphical User Interface as the name suggests, uses illustrations for text, which enable users to interact with an application. This feature makes it easier to comprehend things in a quicker and easier way. Crystal Reports 10 – Provides a relatively easy way to incorporate reporting into your application. The basis of a report is a database query. MySQL – Is a Relational Database Management System (RDBMS) that runs as a server providing multi-user access to a number of databases. Codejock – Provides reusable software components that enhance the Graphical User Interface of Windows Desktop Applications. The main goal of academic institution is to provide a good quality of teaching and to provide good service to the students. As the results of the study showed that the developed Students’ Profiling System met the need of the respondents and its intended users. It only shows that the majority of the respondents and its intended users find that the manual managing and updating all college students’ profile needs to be enhanced. Hence, the researchers concluded that the implementation of Student Information System will provide an effective way of managing and keeping of all the students’ confidential record such as identifiable information and offenses in Guidance Office. The implementation of Student Information System is highly recommended by the researchers in order to have an easy way of updating and having a secured keeping of all college students’ profile in Guidance Office every enrollment. The intended users should have enough knowledge on how the developed system is going to work. There is a need to implement the Student Information System to enhance the managing of record of all college students. Student Information System ensures that all students record will be keep safe and secured. 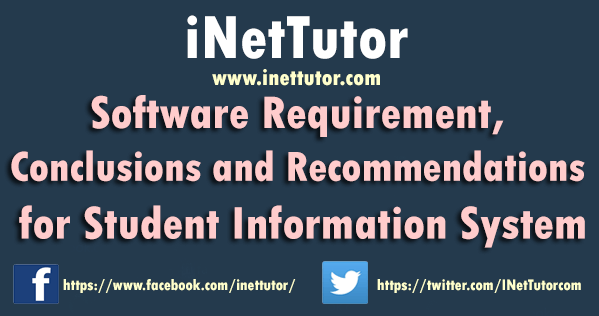 Student Information System must be installed in the Guidance Office for it will be a big help to the Guidance Office Personnel in managing and updating students’ confidential record.